﻿ Zebra Bathtubs: Bathing In Stripes! 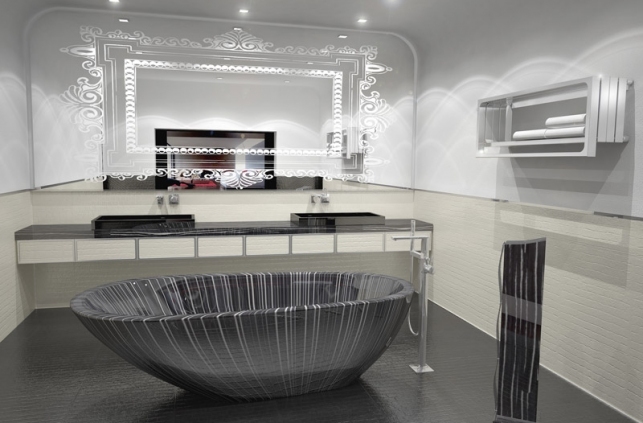 Animal Print Essentials › General › Zebra Bathtubs: Bathing In Stripes! 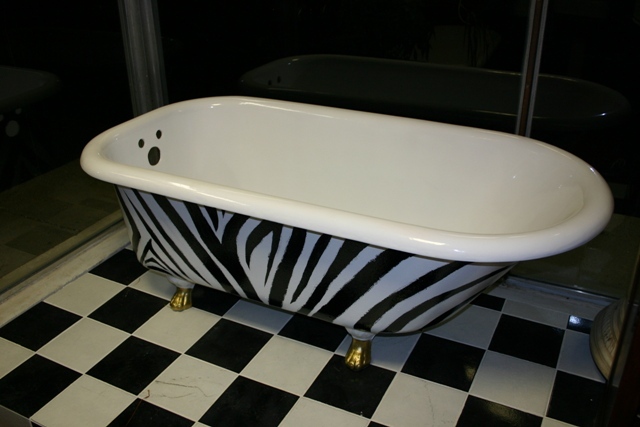 Zebra Bathtubs: Bathing In Stripes! Searching for that touch of wild which embodies a piece of art? Here it is, right in your bathroom. 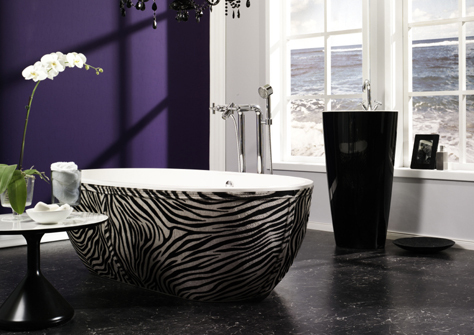 Step into these fun and luxurious Zebra tubs and let your cares wash away! In the space of a few years, the Original Stone One, a bath with a pure oval, maternal and reassuring curves, has become the cult object of the Aquamass Design range. With its lines of timeless sobriety, full of curves, visual and tactile delights, it exudes emotion, generosity, sensuality and feminity. The Original Stone One has changed, shaken up and revolutionised the dress code of the bathroom. It can be found in Paris, London, Saint-Tropez, Milan, Brussels, etc., both on the properties of private individuals and in the largest hotels. For some time it has established itself as the most widely sold designer bath in Europe and inspires exceptional productions.